Dior Addict Lipstick in 579 Must Have - Love the colour of this lipstick but the colour payoff isn't massive. Very nice for just a slick of colour. BareMinerals Pretty Amazing Lip Colour in Ambition - One of my favourite work colours. Such great colour and staying power! BareMinerals Pretty Amazing Lip Colour in Moxie - Another favourite work colour. It's a really nice light pink for a more natural look. MAC Lipstick in Lickable - My first and only MAC lipstick (so far...) highly pigmented and has amazing staying power. 17 Mirror Shine Lipstick in Bolshie - More of a sheer colour but still has pretty good colour payoff I find. Barry M Lip Paint in Touch of Magic (green to pink) - I love this colour because of the fun factor (and for the finished colour) but it is a tad annoying when you can't really see where it's going and you end up with pink just over your lip (you can rub it off but it's difficult with this one!) Once it's on though, that's it! I've even woken up the next day going "what?? How is there any left on?!?!" ELF Mineral Lipstick in Rich Raspberry - I like the feel of this one. It's very soft on your lips. Natural Collection Lipstick in Raspberry - I love this lipstick. I practically lived in it this time last year. 17 Berry Crush Lip Stain in Pinkini - Love the colour and staying power...but that fact that it seems to dry up when you're using it is a real pain! Dior Addict Ultra-Gloss in 152 Socialite Pink - Considering I don't really like the feel of lipgloss generally....this is beautiful! It's really good colour payoff but not sticky at all. BareMinerals Natural Lipgloss in Heartcake - I like the way this feels on my lips too. Not sticky and just a swish of colour. Buxom Lipgloss in Gina - I love the colour of this but sometimes you don't want one that's got a plumping effect. 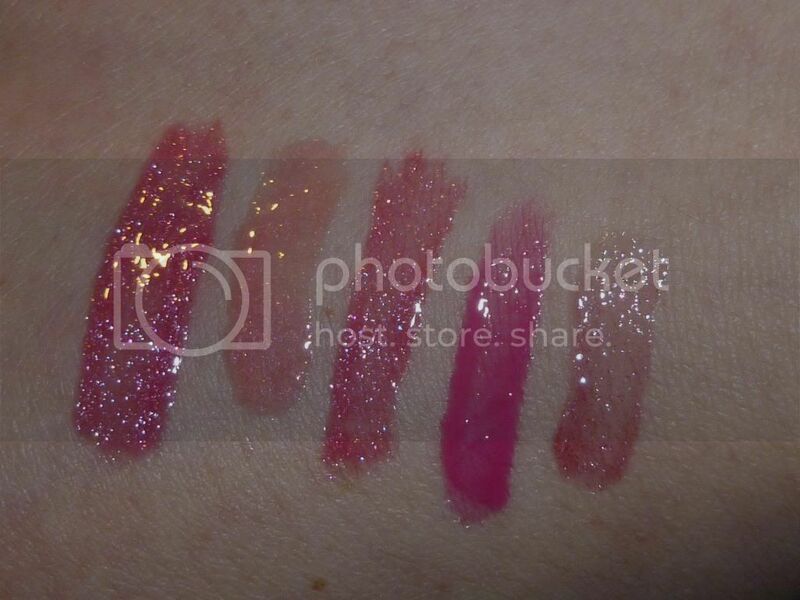 Buxom Lipgloss in Berry Blast - This is one of the cream finish ones which gives much more colour than a normal gloss. However, the tingle is still there so it's not one of my everyday ones now. Barry M Lipgloss in Limited Edition (no name!) - No then, this isn't strictly pink but I've only ever used it over pink lipsticks so it's got a pink tinge to it now (gross right?!) This isn't sticky but it feels a bit....slimy on my lips. I'm not a fan of being able to taste the fragrance in it either. 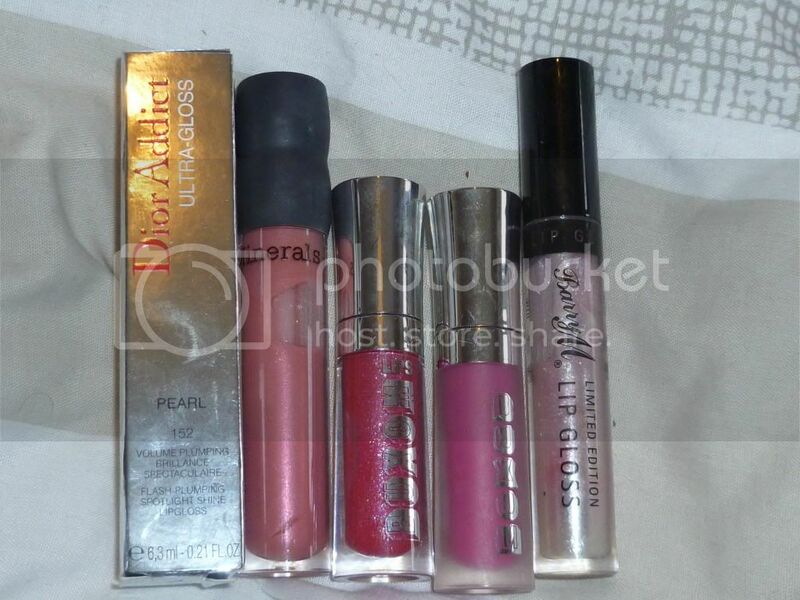 Winner: Highend - Nothing will ever beat the Dior lipgloss for me. I really don't like the feel of gloss so the fact that I can only barely feel this gloss is a massive bonus for me. I LOVE the colour of this one too and would be interested in looking at more. This might a little skewed because I do only really own one highstreet gloss in the pink ranges though, but I've owned more and given them away for being too sticky or too sweet smelling/tasting! 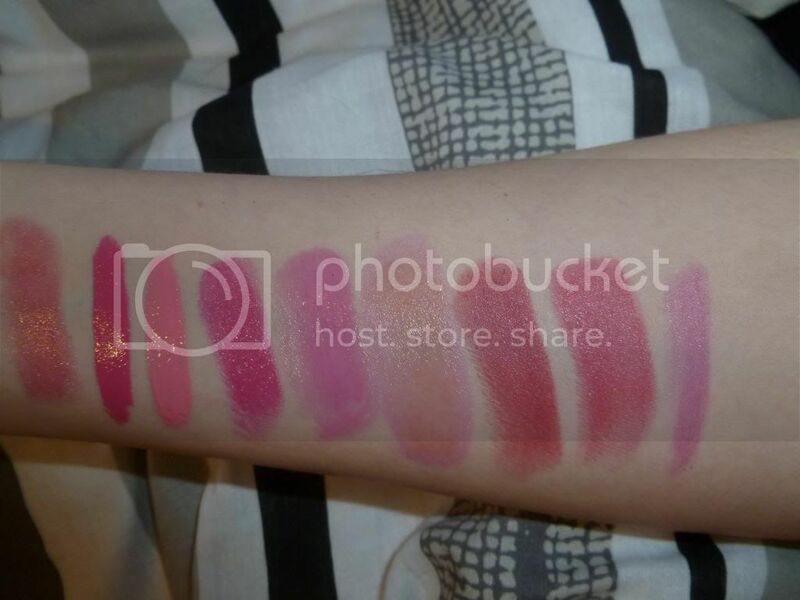 So there's my few comparisons for pink lip products.... Do you guys have any recommendations for lip products? 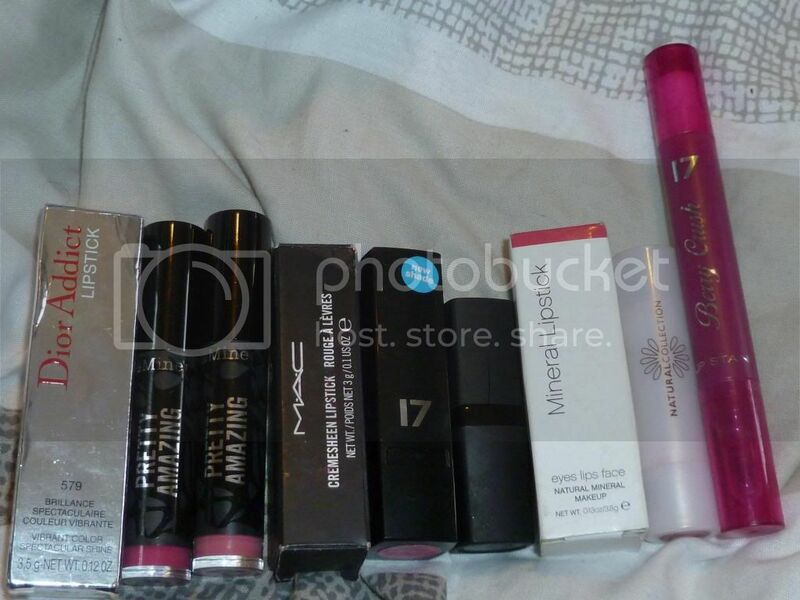 Anything I'm missing out on lipgloss wise? ?